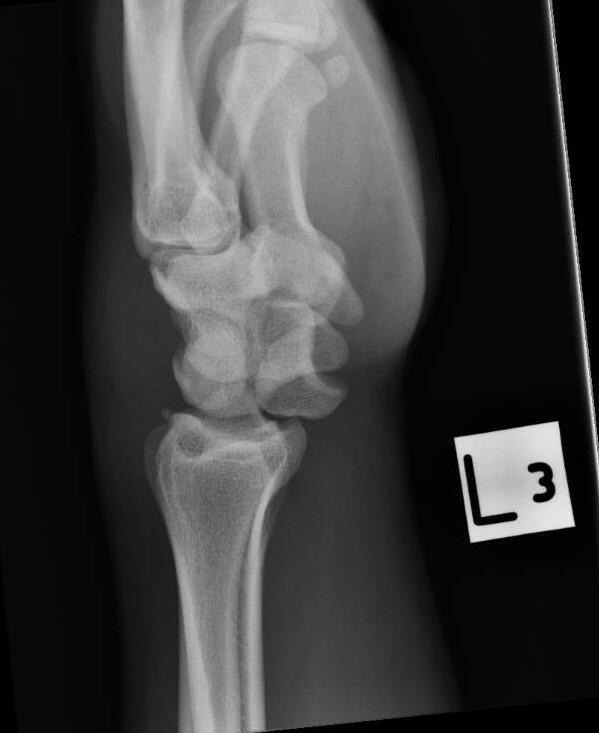 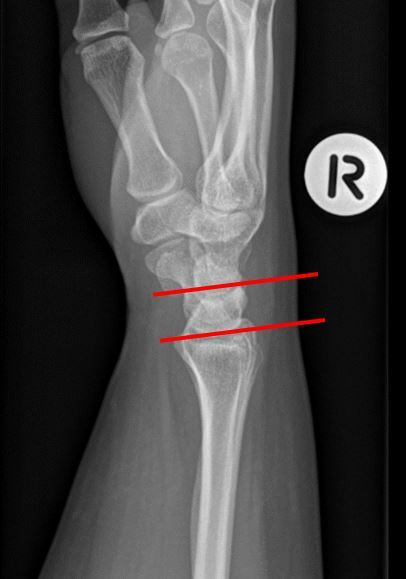 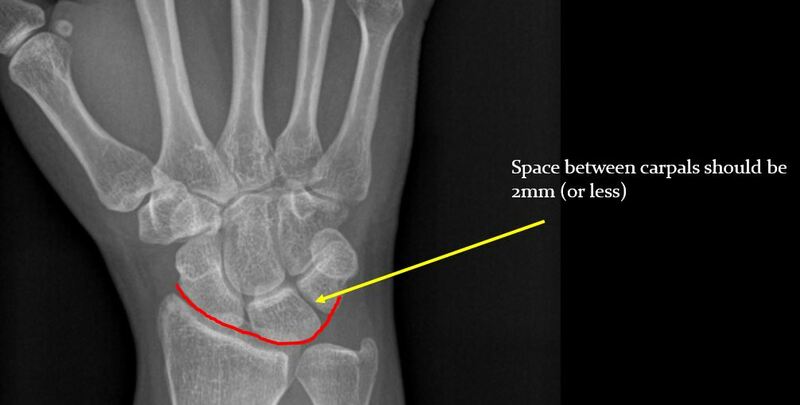 The lunate is not located where is should be, adjacent to the scaphoid and capitate. 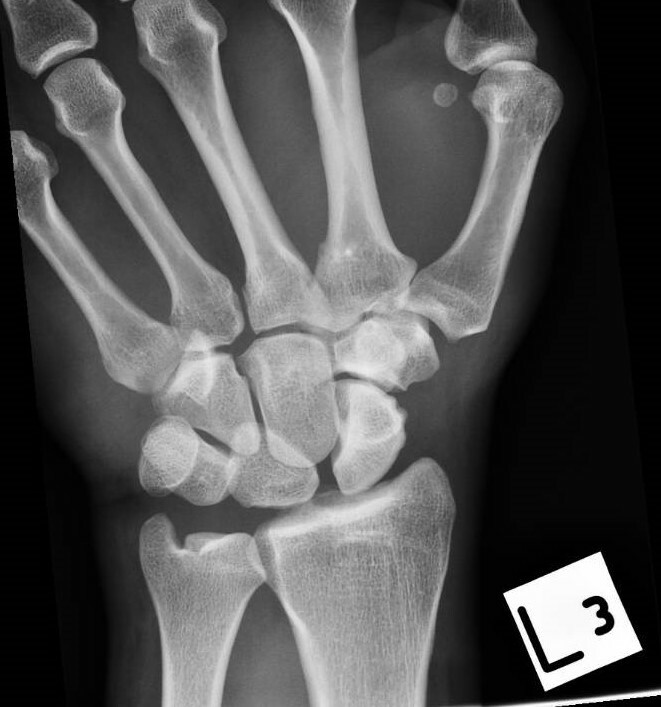 The lunate is not seated within the radial fossa and distally, the capitate is not located within the lunate fossa. 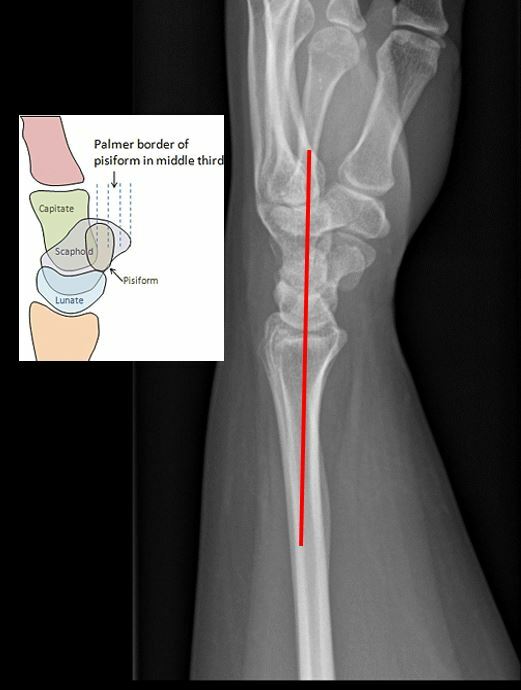 The radius, lunate and capitate can normally be linked by an imaginary vertical line – with a dislocated lunate, this is lost.